A couple years ago I went on a kick to rid my house of toxic chemicals. Once I started reading the labels on my household cleaners, and then researching more on the internet, the kick turned into a mission. We complain about pollution in the environment but don’t think twice about spraying toxic chemicals all over our homes under the pretense of cleaning. If you saw my post last week on All-Natural Soft Cleanser then you know that I have finally given up my dependence on Comet cleanser and with that my Cleaning Cabinet Makeover is finally complete. It’s taken a while to accomplish this goal but better late than never, right? Right. Once I put all my old cleaners on the counter to get a picture for this post I found that I was both proud and shocked. Proud because I had scaled down from 14 toxic, chemical based cleaners to 7 non-toxic, all-natural cleaners and shocked because I had no idea I had so many toxic cleaners in my house to begin with. Based on the picture you’d assume my house was spotless. Since the store-bought cleaners don’t come with their own housekeeper, it wasn’t. It’s still not. But my house is one huge step closer to being chemical-free and now when my family cleans the house no one is afraid to breathe in. 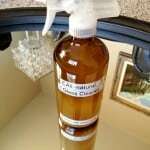 This was the first homemade cleaner I ever made. I ripped the recipe out of some magazine at the doctor’s office (shhh!) and was very proud of myself for “going green” even though I was years away from the cleaning cabinet makeover. It now has lots of competition, but this one was my first and is still my favorite. I kind of go crazy with this stuff and use it everywhere. 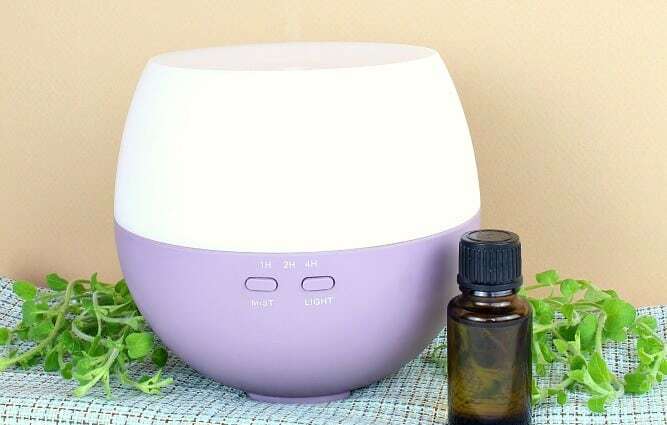 I spray it in the air in every room, on fabric-covered furniture, curtains, area rugs, pet bedding, human bedding, musty closets, even stinky shoes belonging to certain teenagers. 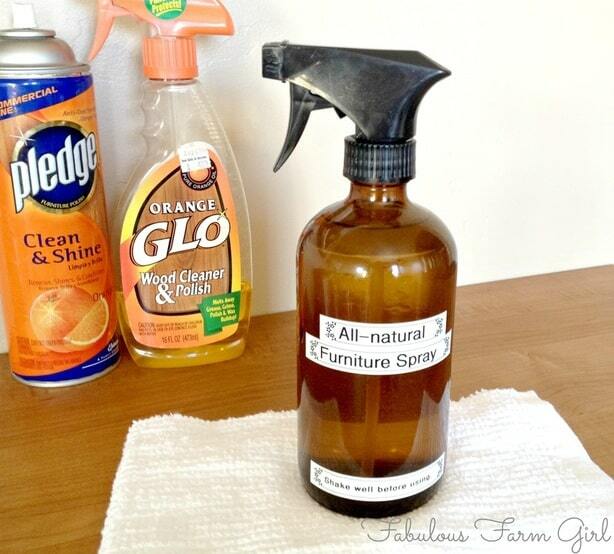 It kills odor-causing germs in the air and on fabrics and makes my whole house smell great. 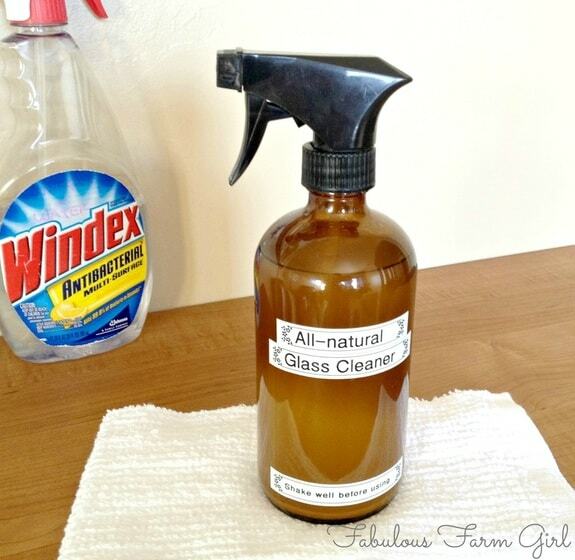 I went all-natural with glass cleaner some time ago and have just been using vinegar and water (I reused the Windex bottle–you can even see the writing at the top of the label). But I wasn’t entirely happy with it, including the smell, so I started tinkering and came up with an even better version of the vinegar and water stand-by. It works much better on mirrors and glass and yes, you guessed it, it smells great too! This was the one cleaner I was skeptical about replacing. Maybe it’s because the Pledge aerosol canister seems so technical and intimidating. It had the power to destroy the earth’s ozone layer and wipe away dust at the same time for heaven’s sake! I wasn’t convinced that could be copied. Well, by golly, it can if you’re willing to forgo ozone obliteration. The earth and whatever is left of her ozone layer will thank you. Nothing makes a room look cleaner than vacuuming and since my oldest son loves to vacuum I never have a problem getting it done. But he and I both agree that it is so much more fun when you get to sprinkle something great smelling all over the carpet first. Who am I to deprive him of a good time? 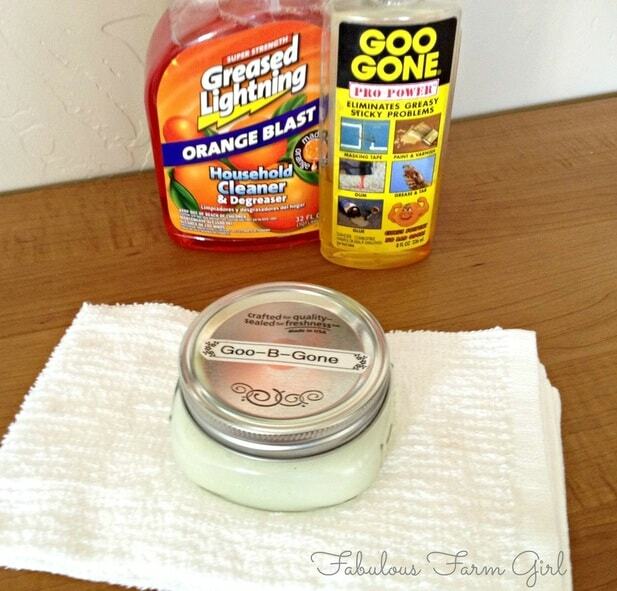 Goo-B-Gone is a product you don’t need very often but when you do, nothing else will work. I just wanted a version that is okay to touch, cheap and doesn’t smell like paint thinner. Is that asking too much? Not if you make your own. 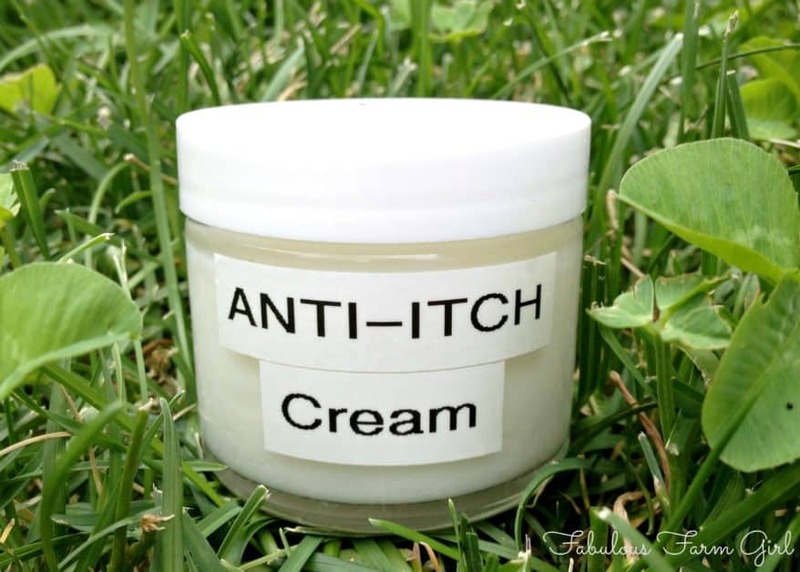 This is the product that made an honest woman out of me. After I had replaced all the cleaners in my house with homemade versions I was still hiding my stash of Comet cleanser, convinced that nothing else could clean the dirtiest spot in my house…the kitchen sink. Oh please, it’s the dirtiest spot in your house too! Just ask Oprah. As it turns out Comet is one of the worst toxic offenders of all (joke’s on me) and not surprisingly this all-natural soft-cleanser works just as well if not better (joke’s on them). Oh and did I mention that it smells great? 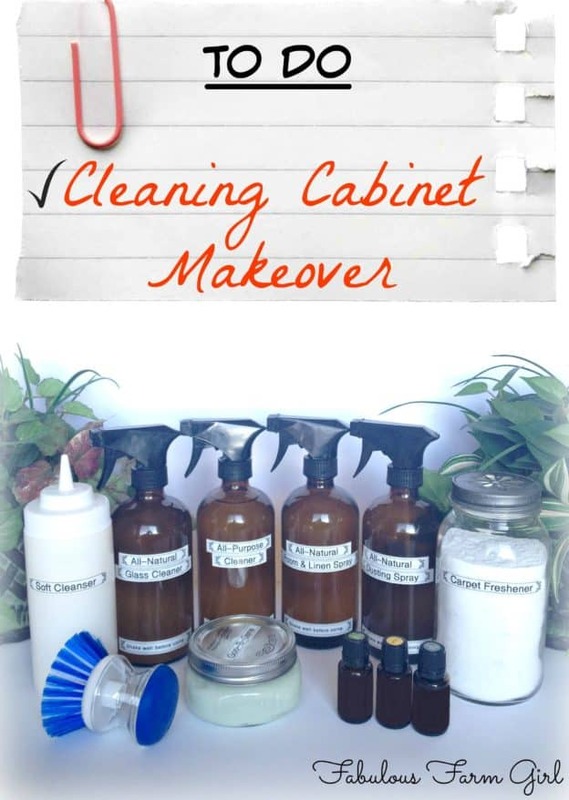 So there you have it–my cleaning cabinet makeover. It’s such a little amount of effort for such a big feeling of accomplishment. Please leave a comment and let me know which all-natural cleaner is your favorite or feel free to share one of your own. Update-–Several people have asked where to find the glass spray bottles. Here’s a good option on the Internet for a 16 oz. glass spray bottle. Most of the time I buy them at a place local to me called Aroma Tools and you can order from them online at aromatools.com. They come in different sizes with different style tops you buy separately. The 16 oz. ones I use for cleaning sprays plus a separate spray top will cost you less than $2.00 total which is the cheapest I’ve found anywhere by far. Can’t wait to make them all!!! Thanks for the post!!! You’re welcome Robin! 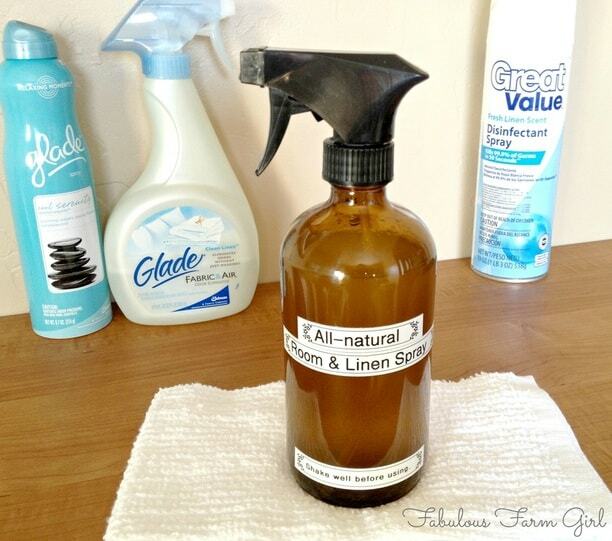 Having my supply of homemade cleaners makes cleaning the house almost fun. Almost. Great idea. Pinning for later. Found you from The Prairie Homestead. Hi Lea– welcome back! I’m thinking you will really love these recipes. I just checked out your blog and I am very impressed. You’ve got some great ideas and I’ll be visiting regularly. Have a great day!. oooh… I feel about like I just stumbled upon a gold mine with this post- what a fantastic collection of recipes and info! I like to think I’m a lot, lot closer to our home being cleaner and healthier than it really is. Excited to try these recipes! I am so happy to have stumbled upon your blog … found the link to the glass cleaner is broken. Wondering if it moved? This is great but where do I go to get the recipes to male these? Amanda, click on the product name to get to the recipe. I wondered the same thing! Hi Stacia-Thanks for stopping by. You need to click on the title of each product not the picture. I just checked each link and they are all working so please try again. I know you will love them. Have a great day! Where did you get these matching spray bottles? Cleaning is so much more exciting when opening the cabinet of cleaning supplies makes you smile! Hi Kelsey–Thanks for stopping by. Several people have asked where to buy the bottles so I added an update with the link at the end of this post. I recommend buying several as they are super cheap, have so many uses and will last forever. Have a great day! I have not gone all natural yet but I am pinning this for reference. Thanks for sharing! Where do we get the recipes from ? Hi Stacia–Just click on the title of each cleaning product (not the picture) and it will pull up the original post of that product with the recipe. Thanks for stopping by! This is an awesome post! I love how you photographed each natural cleaner with their toxic counterparts. Thanks Rachel–every now and then I find another store bought cleaner tucked away in some cupboard and think what a bummer it is it didn’t make it into one of the pictures. Thanks for stopping by! I LOVE this post. 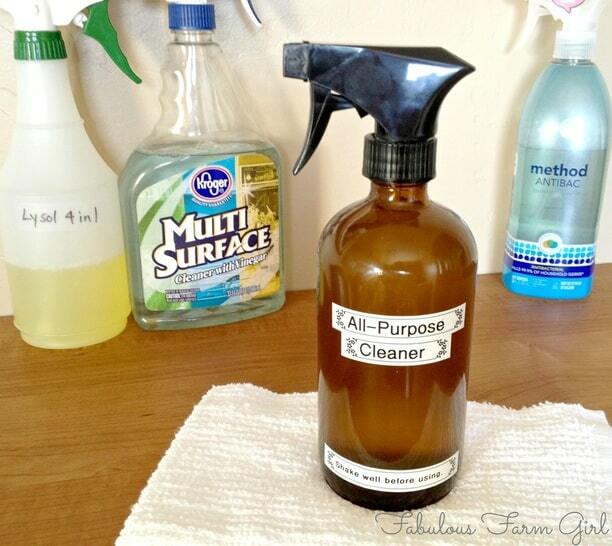 Best collection of DIY/organic cleaners anywhere. 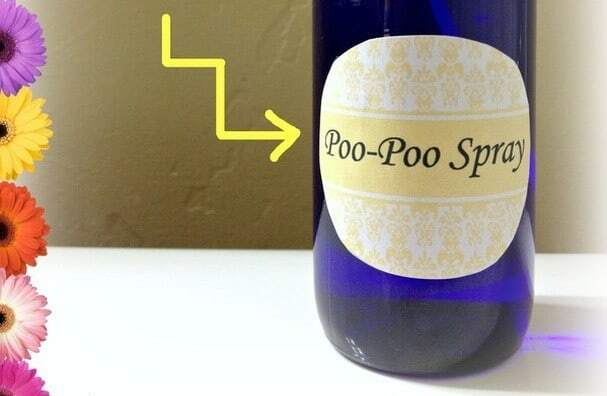 I will be making these, and ordering some of those sooo cool brown bottles, too. Thanks! Thanks JJ for the wonderful compliment. 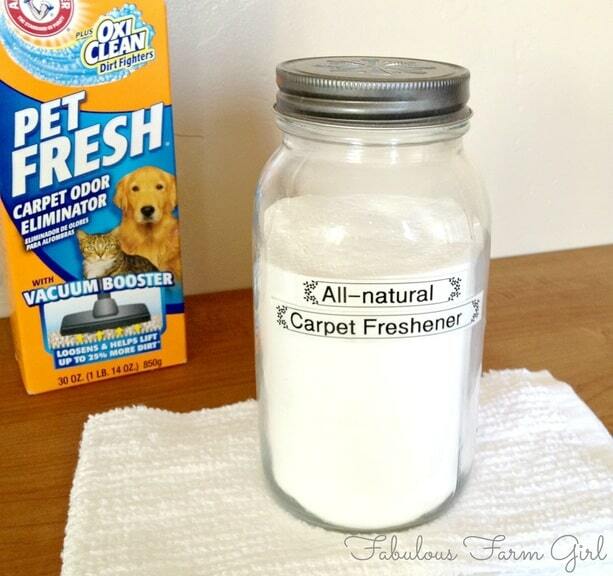 Considering how many homemade cleaners you can find on Pinterest, that really made my day. 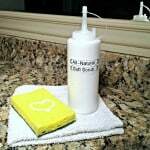 Since this post I’ve added one more: All-Natural Cleaning Wipes to replace Clorox wipes. Definitely worth adding to your Cleaning Cabinet Makeover. Have a great week! 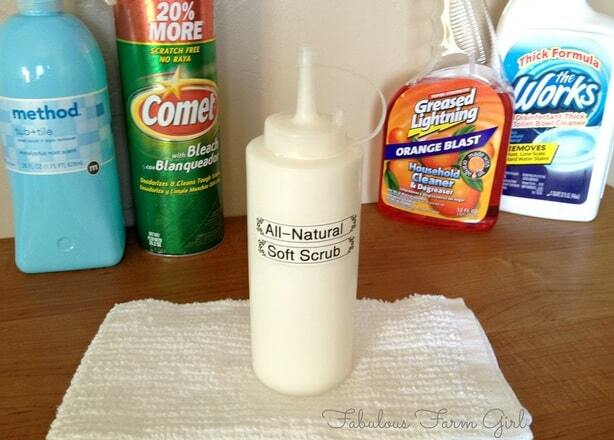 I am really loving the natural cleaners. I am pinning this for future reference. I use vinegar and water for a lot. I’ll have to check out the others. Thanks for sharing! Your welcome Topaz! Once you do a cleaning cabinet makeover you will never go back to store-bought. I had to walk down the cleaning isle at the grocery store today to get a scrub brush and I was overwhelmed by all the synthetic fragrance. Yuck! Good job going all-natural! have a great week! I need to get this done too! Inspired! Thanks Marie! Once you do the cleaning cabinet makeover and rid your house of toxic cleaners you’ll wonder why you didn’t do it years ago. It really makes you feel empowered. Go for it, girl! That’s so great, Bonnie! Reducing toxic load is so important for good health, especially for growing kids. 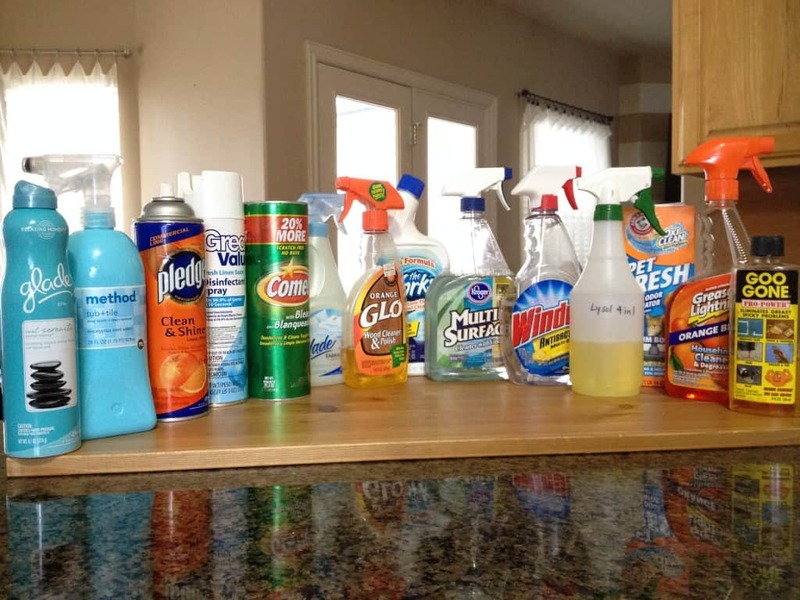 Getting rid of all store-bought cleaners felt so good and has saved us lots of money too. You can’t lose. Have a fabulous week! Oh, I almost teared up! I was JUST looking at the sea of cleaners in my garage, hating that I had so many, not knowing what I could do without(you just never know when you might need THAT one) and wishing I could just make what I needed-you know, the basics that WORK and can be made as they run out. THANK YOU for putting this on today’s BARN HOP! You have made me a very happy homemaker!! Thank-you Merry! That might be the best comment anyone has ever left on my blog. You made my whole week. 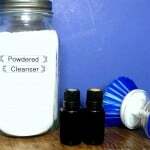 It is so easy and inexpensive to make your own cleaners and once you do it you’ll wonder why it took you so long. Those store-bought cleaners are loaded with toxic chemicals and ditching them is the easiest way to significantly lower your family’s toxic load. You can do without all of them, I promise. I have added a few new ones to the lineup so just click on the cleaning tab to see the rest. I also did a webinar last week called Cleaning With Essential Oils that you might be interested in. Contact me through my contact button on the home page if you are and I’ll send you the link. Thanks for stopping by and have a great week! I can’t get the links to work for half of these. I really want to try them so far I have made a couple and loved the ones I have tried.